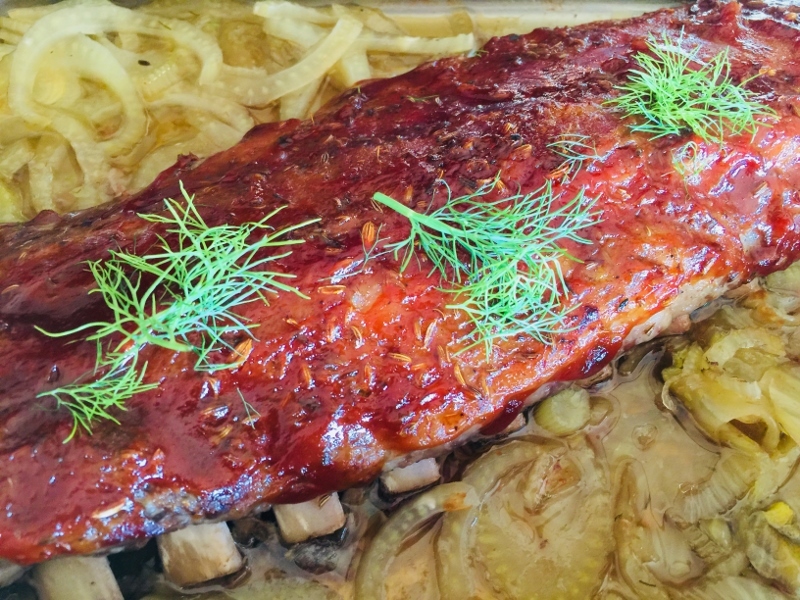 Baby Back Ribs with Braised Fennel & Tangy Sauce! - Live. Love. Laugh. Food. 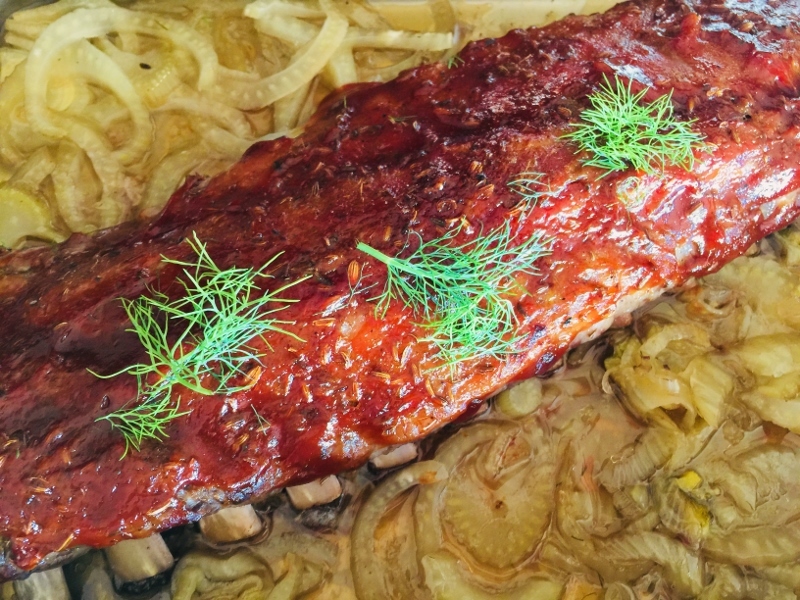 Baby Back Ribs with Braised Fennel & Tangy Sauce! Ribs are one of the easiest meats to prepare because most of the time, the meat is spent in the oven. There’s no flipping or over anxiously watching because ribs cook low and slow for a few hours, into an almost fall-off-the-bone state. 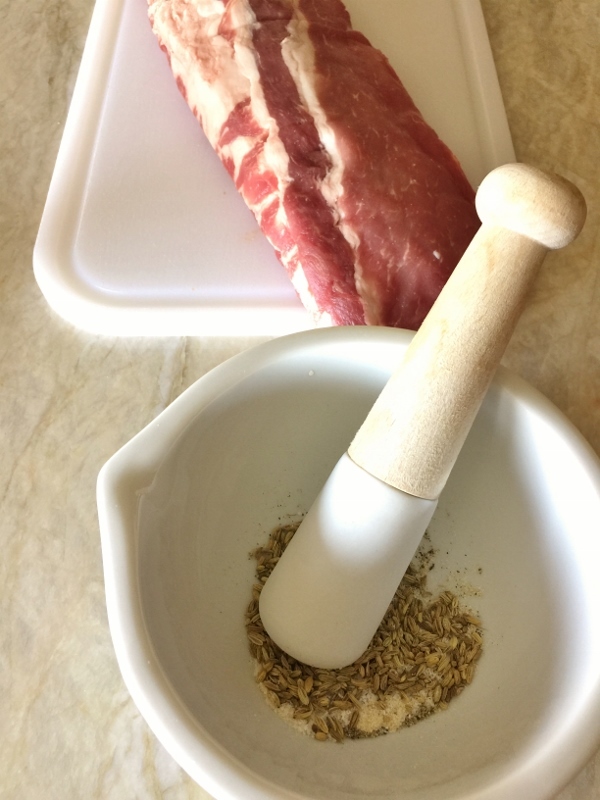 Rubbing ribs ahead of time, adds tons of flavor – a step you should not skip and I recommend fennel seed for starters. Fennel Seed has an earthiness that is slight, but enhances the fragrance of meat in the nicest way. Fresh Fennel, on the other hand is bright with a spicy taste – a veggie that some people love or hate. I just happen to love it, especially braised in broth accompanied with a good rack of ribs. After cooking, fennel looses any licorice essence and becomes lightly caramelized with a hint of sweetness. I think the combination of fennel and pork are fantastic together because it brings out the rustic qualities in both of them. 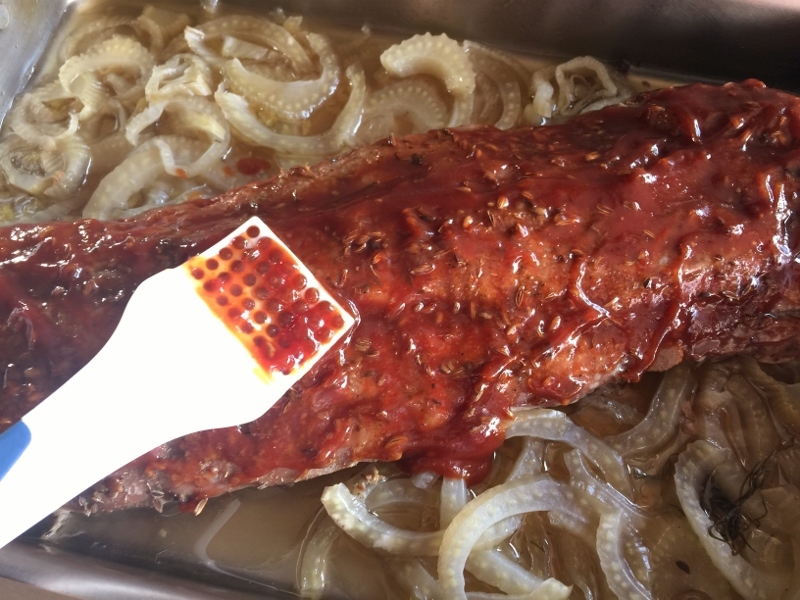 As for the sauce for the ribs – a quick whisk of ketchup (yes ketchup), hot sauce, vinegar and a little honey – trust me, it turns pantry items into a mesmerizing finale. The entire meal takes 2 1/2 hours, but the cooking time is 20 minutes maximum. Can’t beat that, especially on Social Sundays when you are trying to be a little more social, and less of a chef. 1. Preheat oven to 325 degrees. Remove ribs from packaging and pat dry with paper towel. In a small bowl, or mortar & pestle – add fennel seeds, onion powder, 2 teaspoons salt and pepper. Crush with back of spoon or with pestle – just break apart seeds to release aromatics. 2. 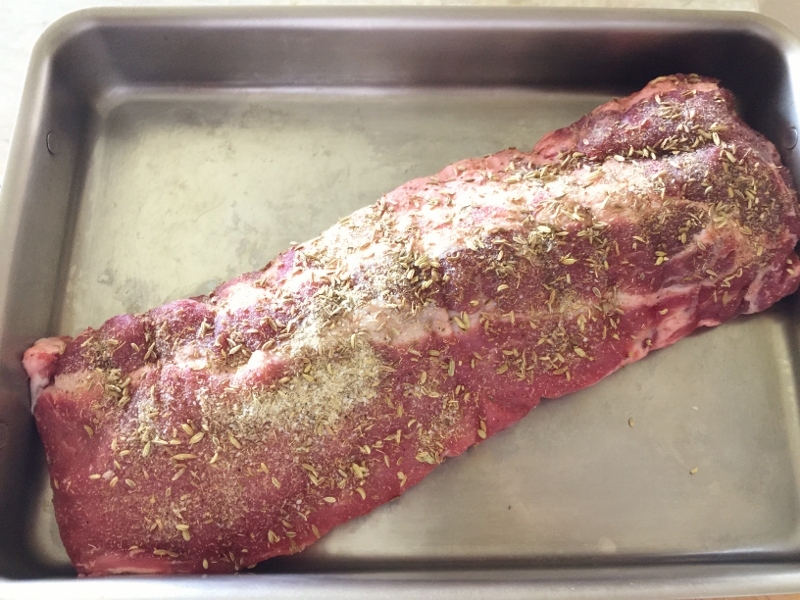 Place rack of ribs in a roasting pan and sprinkle top side with herb mixture. Add half of broth to pan and cover with foil. Bake in the oven for 1 hour, remove. Increase oven temperature to 350 degrees. Add sliced fennel and other half of broth. Sprinkle fennel with remaining salt. Cover again and cook for 45 minutes. While ribs are cooking, in a small saucepan, add all of Tangy Sauce ingredients and place over low heat, stir. 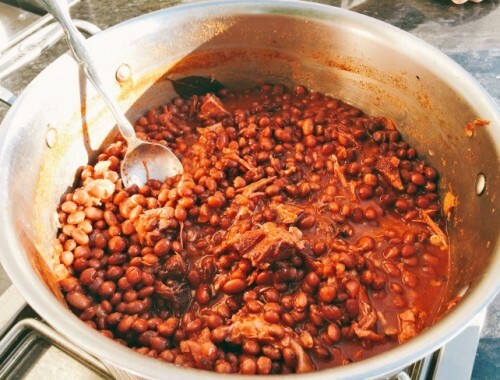 Cook until simmering and lower heat to simmer, cover to keep warm. 3. Turn oven heat to broil. Remove pan from oven as well as foil, spread sauce over top of ribs. Place under broiler, 12-inches from heating element. 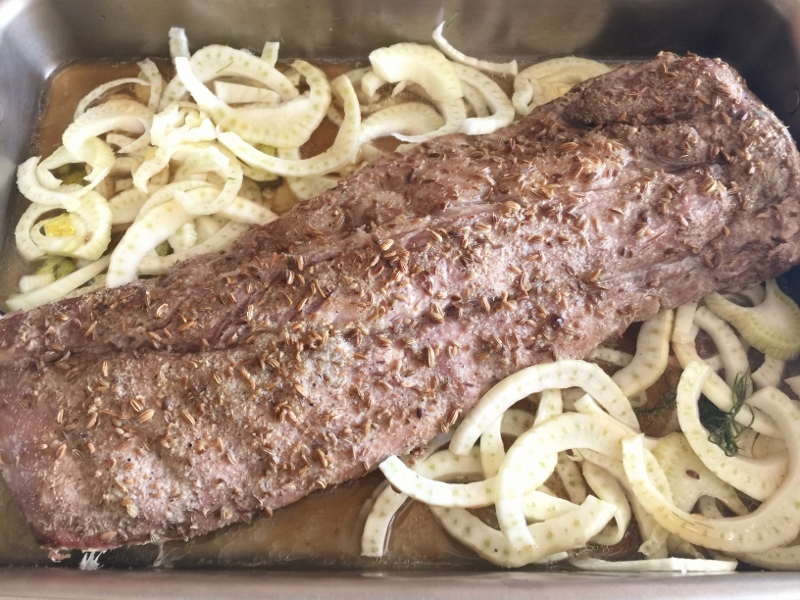 Broil for 2-3 minutes, or just until sauce begins to darken. Remove and cover with foil to rest. Place on cutting board and slice into 3 rib segments, serve with braised fennel. Enjoy! 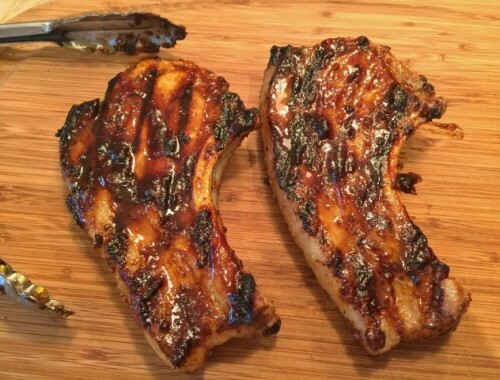 Easy BBQ Asian Pork Chops – Recipe! 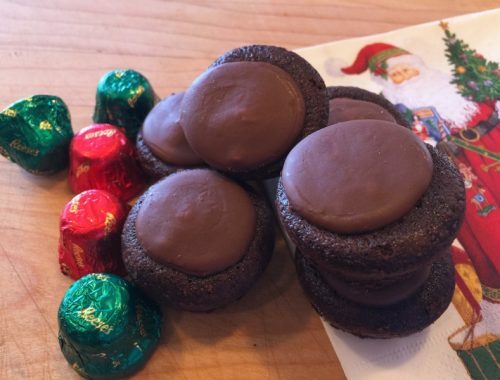 Peanut Butter & Chocolate Christmas Bites!